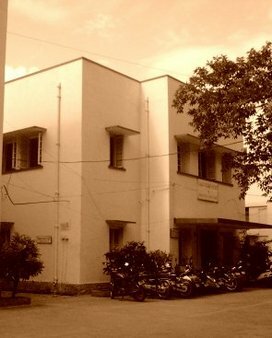 "Indian Institute of World Culture is a sister institution of ULT dedicated to further the first objective of the Theosophical Movement Universal Brotherhood of Humanity"
The Indian Institute of World Culture was founded on 11 August 1945 in the suburb of Basavanagudi in the city of Bangalore . It owes its existence to the foresight, vision and sacrifice of its Founder--President, Shri B. P. Wadia and his spouse, Smt. Sophia Wadia. The prime object of the Institute is to foster the growth of a truly cosmopolitan spirit among citizens of all nations. It bases this on Universal Brotherhood, and faith in the universal moral law of Karma. These ideals do not belong exclusively to any one age, climate, nation or creed. In the words of its Founder-President: "The Institute seeks to make available " those nuggets of knowledge which make a man more healthy in body, more wealthy in mind, more noble in heart, more self-sacrificing in spirit." It was conceived not as an academy for scholars, but as a cultural centre for ordinary men and women, affording them opportunities to develop those graces of living which are the hallmark of humanism. For the achieving of these ideals, public lectures are regularly organized on relevant and contemporary topics. These are blended with programs of music and dance to enrich the cultural life. On an average, one hundred and fifty programs are organized yearly, with not less than two programme each week. Among the many distinguished scholars who have honoured the Institute by their visits, special mention could be made of Sir C P Ramaswamy Ayiar, Prof. Julian Huxley, Prof . Arnold Toynbee, Shri C Rajagopalachari, Lord Boyd Orr, H H the Panchen Lama, Dr. J V Narlikar, Dr. K G Saiyidain, Dr. Karan Singh, H. H. Jayachamarajendra Wadiyar and Dr. Martin Luther King. Jr, and many other world renowned persons. Some of the lectures have been reprinted as "Transactions of the Institute" for wider dissemination. Ninety three such Transactions have been issued so far. Each month's programme is given advance publicity in the monthly Bulletin of the Institute. All programs are conducted punctuality. The institute maintains a General Library of over 40,000 volumes, to satisfy one of the needs of the community. A separate Children's Library has been established for the younger generation. Both these have become very popular and useful over the years. Its Magazine Section regularly receives over 400 periodicals.